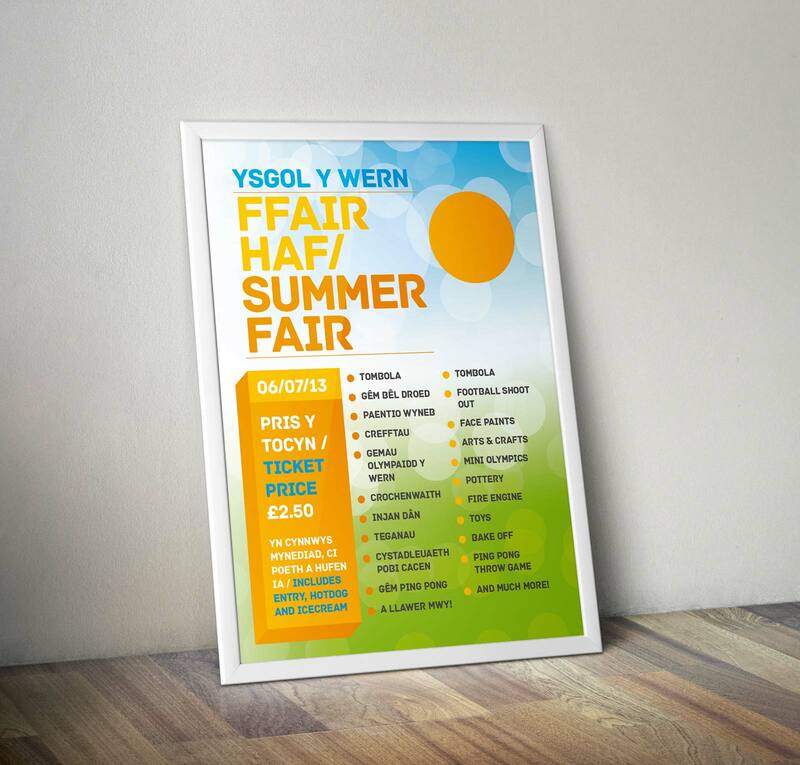 The annual Ysgol Y Wern Summer Fair is always one of the highlights of the year for the school. Following on from our successful promotion of the event in 2013, Yellow Cat Design were asked to design the posters and tickets again in 2014. As with other Ysgol Y Wern events we created a distinct identity for the event to help raise awareness building up to the day. 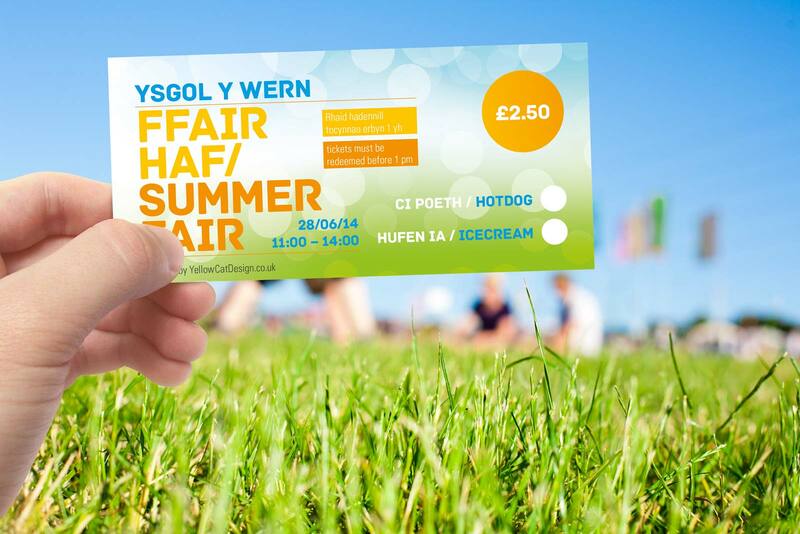 We then produced tickets to match to give the event a more professional feel.